Road investments in Latin America are at a turning point in 2019, supported by sectoral reform and macro-economic measures to lift barriers to internationam trade and foreign investments. 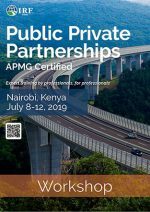 Mexico embodies this trend by recently announcing USD 4 billion in public and private funds will be spent on road infrastructure in 2019 - double the investment levels of previous years. 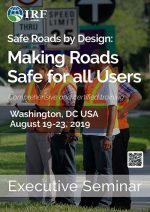 Much work still needs to be accomplished however in a region where 60% of the road network is unpaved (compared with 17% in Europe) and with 130,000 fatal traffic injuries every year. 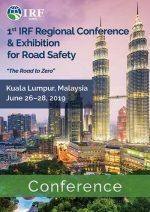 Against this backdrop, the 6th IRF Latin America Regional Congress & Exhibition provides a unique platform for road professionals to improve their understanding of the region's challenges, and embrace forward-looking policies and investments. 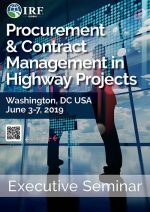 A limited call for presentations is open to road professionals based in Latin America and IRF member organizations. 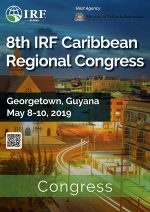 Please submit your abstract (150 words maximum to esalinas@irf.global by May 15). 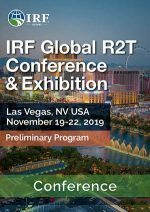 The 6th IRF Latin America Regional Congress will provide a unique forum for sharing the latest industry technologies, solutions and best practices from all over the world. Delegates will exchange knowledge and take it back to their respective countries for the benefit of their industry and societies. Roads play a vital role in the economic development of all nations. 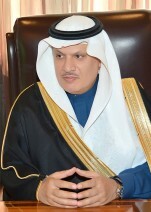 It is a well-established fact that a poor road network hampers economic and social progress; therefore, in these challenging economic times, investments in the road sector can benefit the whole of society by providing access to markets, jobs, education, healthcare and other services, by lowering the cost of moving goods, and — my personal passion — by saving lives and avoiding injuries in unnecessary accidents. 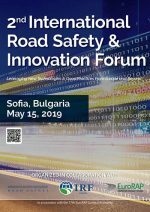 The sixth edition of this event will serve as a means to deliver world-class knowledge resources and practical guidance across shared transportation challenges, including road safety, infrastructure asset management; urban development & mobility; and funding transport Infrastructure. 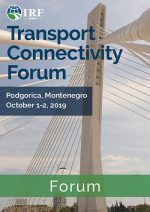 It will bring together regional and local industry stakeholders from government, academia, multilateral banks, civil society and the private sector to help find solutions to the region’s transportation challenges. I am honored by your participation in this premiere Latin America surface transportation event of 2019!